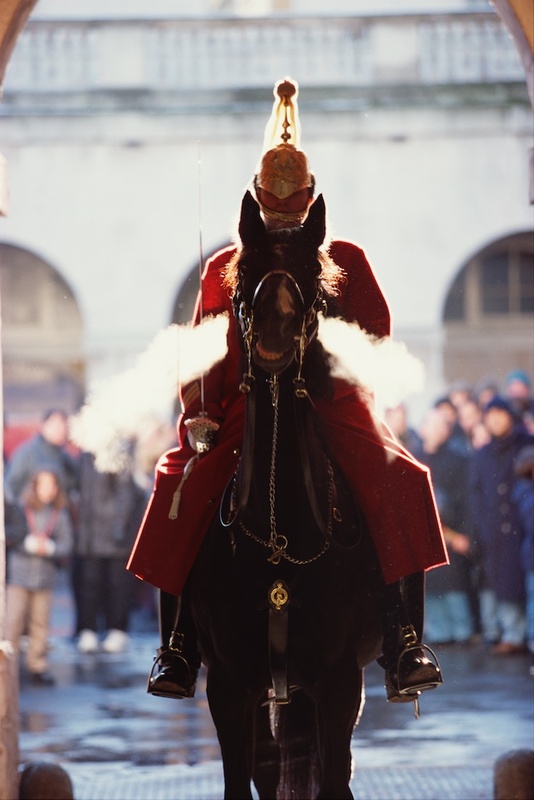 Pageantry & Performance, The Household Cavalry In A Celebration Of Pictures, is an enthralling book that captures the magic and spirit behind the world of Britain’s iconic Household Cavalry. Portraying close-up details of the intricate uniforms, woven crests and gleaming jackboots, the unique collection of magnificent full-colour photographs create a kaleidoscope of colour, which reflect dedication, pride and harmony between horse and soldier. 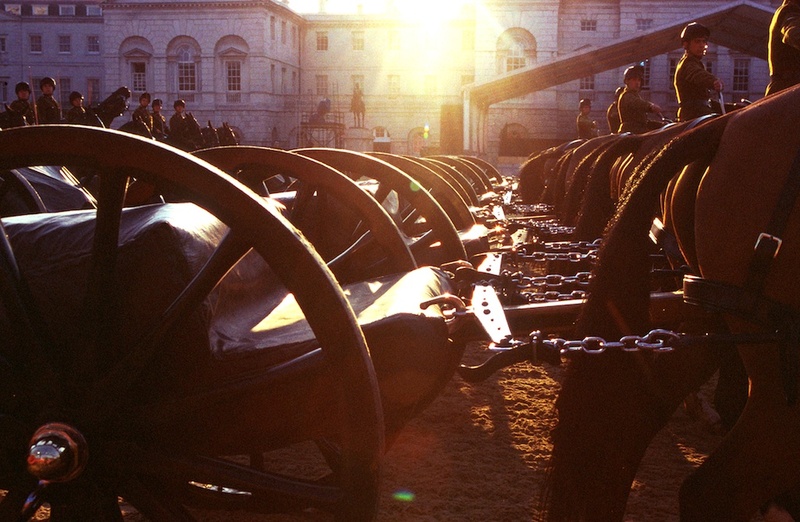 The collection depicts a full year in the life of the cavalry, showing them in all their glory, whether at the Queen's Life Guard or escorting Her Majesty on State occasions. 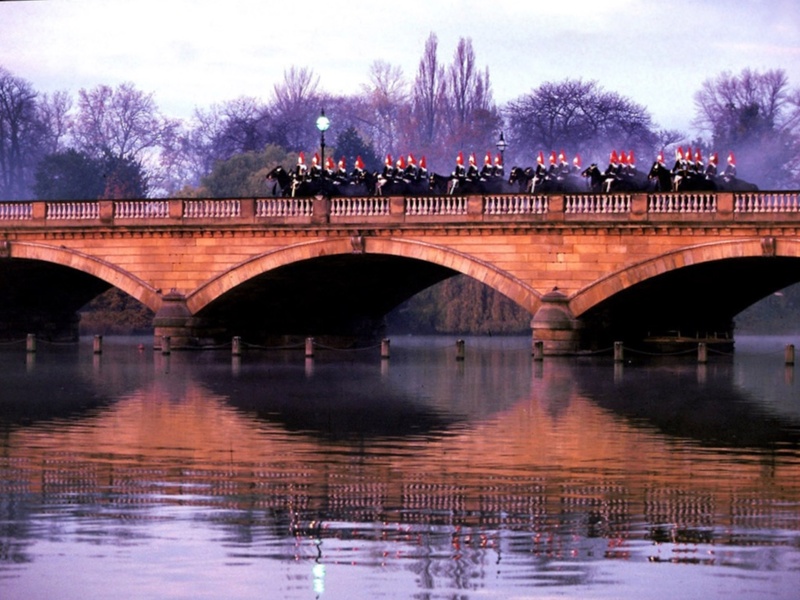 Captured over six years, Henry Dallal has succeeded in creating works of art, while still providing an accurate insight into the daily life of this uniquely British treasure. 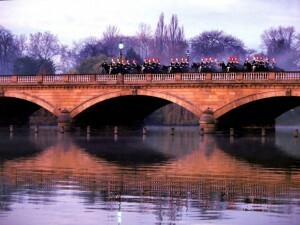 Henry was invited to launch the book at Windsor Castle and projected images as a son et lumière spectacular on the walls of the castle. This was the first time that such a projection has been given permission to be shown inside the royal castle. 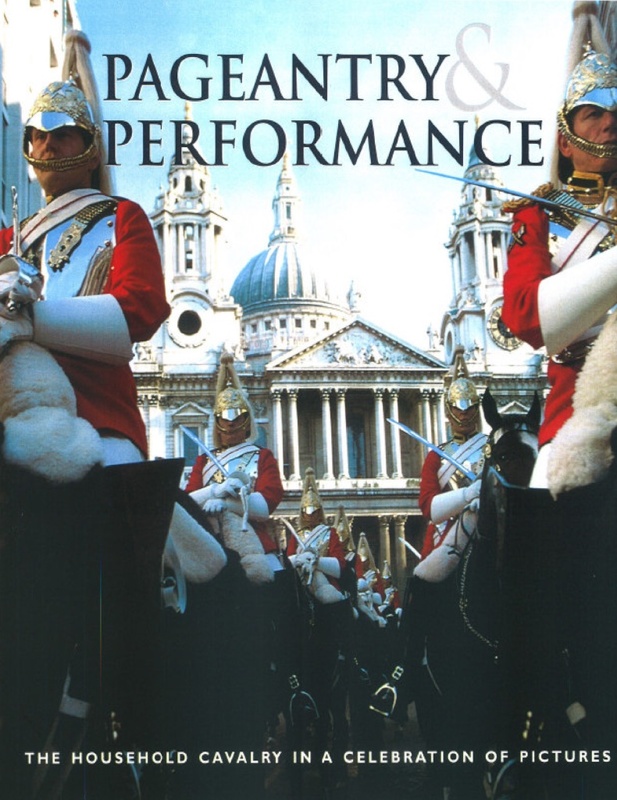 In 2003, Windsor Festival chose ‘Pageantry and Performance’ as the theme for this annual cultural festival at Windsor Castle, and an exhibition of the photographs from the book took place at Windsor Guildhall for the duration of the festival. A DVD of the son et lumière show is available from amazon.com. 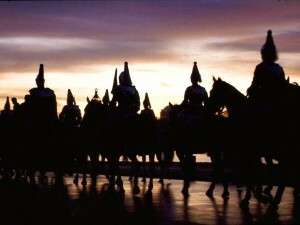 'Best View of Britain' was awarded to the picture 'Early Morning Riders' by BBC Radio 4's Today Program (see BBC Radio 4 interview) and Royal Mail selected two images (below) from Pageantry and Performance for use in their Mint Stamps Collector's Pack released in June 2005, commemorating the Trooping of the Colour. Signed and personalised copies of the book are available directly from Henry Dallal and at Hatchards, Waterstones and Harrods. prominent authorities such as the late military historian Richard Holmes, Lt. General Sir Simon Mayall and Major General Sir Evelyn Webb Carter. The collection of photographs was also shown as an audio-visual presentation at The Royal Geographical Society in the presence of HRH Prince Michael of Kent, with an introduction by Field Marshall The Lord Guthrie of Craigiebank, in aid of SSAFA Forces Help. 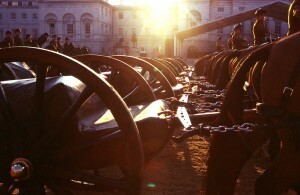 Photographs have been exhibited at Naples Museum of Art between December 2004 and February 2005 and at the Smithsonian Institute in summer 2005, as well as in One Hyde Park and at Lufthansa Heathrow Express. A number of shows were held to support charitable causes. The book and DVD are available from Henry and on Amazon.com.